Headlines abound about circadian rhythms going out of sync, with “must do” steps for meal timing, fasting, and sleeping to avoid problems with misalignment of biological clocks. 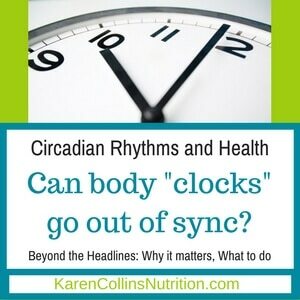 Research ties circadian rhythms to heart health, blood sugar, and body weight. But what is purely theoretical so far, and what actions (if any) could be worth taking? You’ll find insights here from Frank Scheer, PhD, a leader in this research. Dr. Scheer is Director of the Medical Chronobiology Program at Brigham and Women’s Hospital in Boston, MA, and Associate Professor of Medicine at Harvard Medical School. I was thrilled to have the chance to sit and talk with Dr. Scheer about this fascinating research. 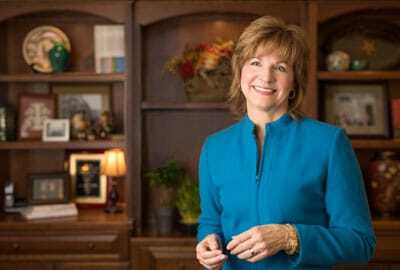 I hope these notes from our conversation help you set commonsense priorities for how current findings fit with the other choices you make for a healthy lifestyle. 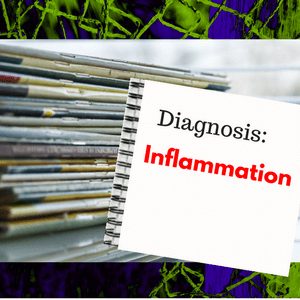 Chronic, low-grade inflammation can become a bridge to development of high blood pressure, heart disease, type 2 diabetes and cancer. Is this just hype, or could one factor really pose risk to so much of what threatens health as we get older? If the risk it poses is real, how can you choose among all the anti-inflammatory diet and anti-inflammatory foods and supplements that appear in headlines everywhere? These are the questions for today’s Smart Bytes®…. 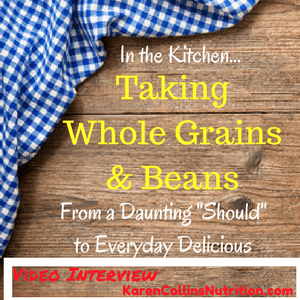 If whole grains and beans have been a limited part of your usual, comfortable eating habits, how do you move from knowing they’re recommended for good health to enjoying them as part of everyday eating? Are you stuck in a rut with your only whole grains coming from whole wheat bread or breakfast cereal? Are dried beans only on your plate in an occasional bowl of chili or in the form of hummus as a dip? To reduce cancer risk, both whole grains and pulses (dried peas, lentils, chickpeas and dried beans) play key roles in recommended eating patterns. Despite any additional motivation for healthy eating, studies show that overall, survivors of adult or childhood cancers tend to have diets as unhealthy, or even less healthy, than the population as a whole. In part one my video interview with Sue Czap, MS, RD, CSO, you heard about a cooking class for cancer survivors and their family members held at the Gilda’s Club in Rochester, New York. Here, in part two of our interview, Sue shares her approach to expanding variety of whole grains and legumes. Whether or not you are a cancer survivor, there are tips here for you! After you watch the video, read on for ideas and a bevy of resources to help make whole grains and legumes an easy and enjoyable part of your everyday eating habits…. Do the bacteria in your digestive tract – known as your gut microbiota – hold the key to reducing inflammation and chronic disease? Discussions of prebiotics, probiotics, and other steps targeting healthy gut microbes fill magazines, books and other media. Yet questions at my presentations and in informal conversations show lots of confusion. Previous posts in this Smart Bytes® series on carbohydrate quality looked at evidence and take-home strategies on what glycemic index and eating more pulses mean for health. 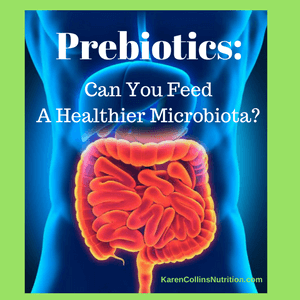 In this third post in the series, I’ll address some top questions on prebiotics, the microbiota and health. If you hear the buzz words frequently, but have trouble pinning down exactly what it all means, read on to see what we know and where the many unanswered questions remain. Although headline-making studies often group all carbohydrate together, carbohydrate quality clearly matters for health; and whole grains, vegetables, fruits and pulses each bring health-promoting benefits. When you see studies asking, “Is reducing saturated fat really heart-healthy?” and “Is high-carb or low-carb better for healthy eating?”, look for the common fatal flaw: no mention of the kind of carbohydrate. In Part 1 of this series on carbohydrate quality, we talked about the problems of using glycemic index to define a healthy carb. In Part 2, let’s consider what research shows about legumes for heart and metabolic health. 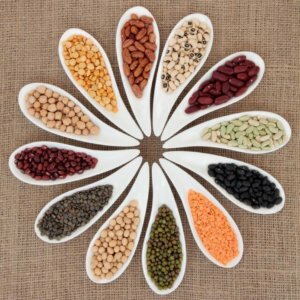 Are dried beans and other pulses too high in calories? Do we need that much fiber? Read on…. I will help you sort through to find what’s important to you. to help you make healthy eating doable. This website is for educational purposes only. Information found here is not intended as a substitute for consultation with a healthcare professional. Subscribe to Karen’s Smart Bytes® Blog for tips to help you make healthy eating doable.